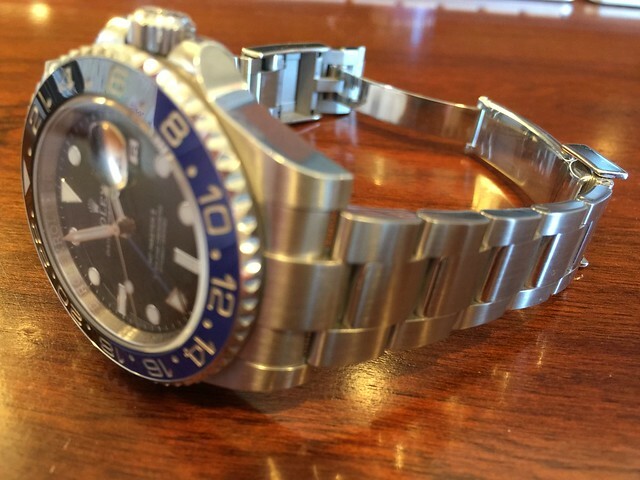 TimeZone : Rolex - Modern » GMT Master II on Jubilee? 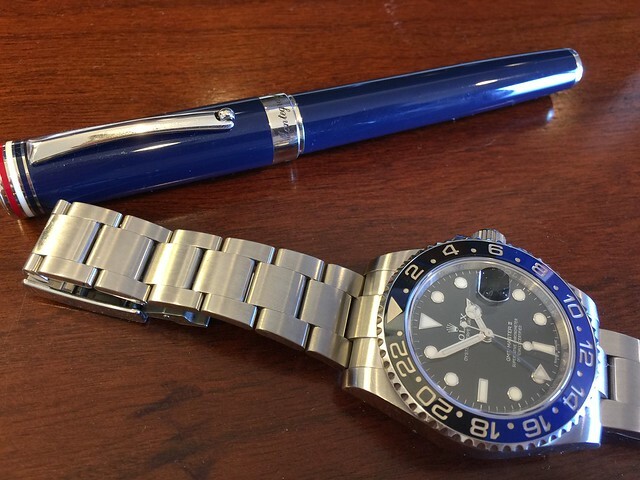 I'm considering my first Rolex and have my eyes set on the venerable GMT Master II. 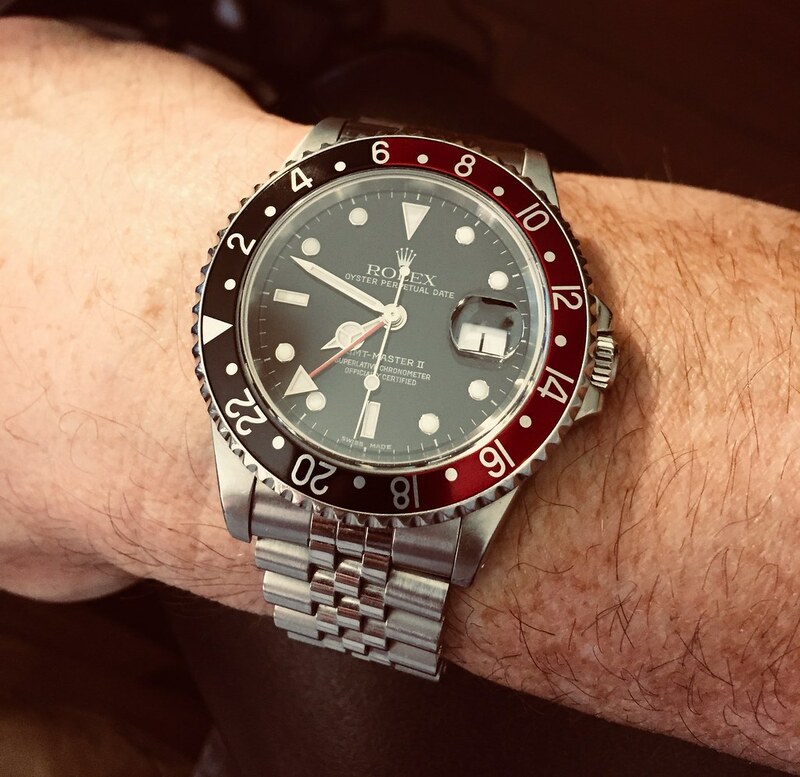 I'm OK with either new or, pre-loved but am curious as to the aficionados opinions on the latest version in steel, sporting the Jubilee bracelet... What do you think? Does the Jubilee suit the watch or, is the watch made for the Oyster? I have always preferred the GMT on the Oyster. In my opinion it's a classic/iconic look for that watch. I'd love to have a pepsi on a jubilee. nothing wrong with a jubilee. if anything, they're more comfortable to wear, IMHO. Hmmm... Interesting. Thanks for the pics (Rocco) and to you all for your opinions - much appreciated! I'm surprised at the popularity of the Jubilee, frankly. I thought it'd be overwhelmingly in favour of the Oyster. Off to the AD to see for myself. Thanks, again! I have been fortunate enough to have been 1st on my AD's list for the new GMT II with the Jubilee bracelet and I absolutely love it. I've had the black ceramic bezel GMT II with the Oyster bracelet and the PCL's were absolute scratch magnets. 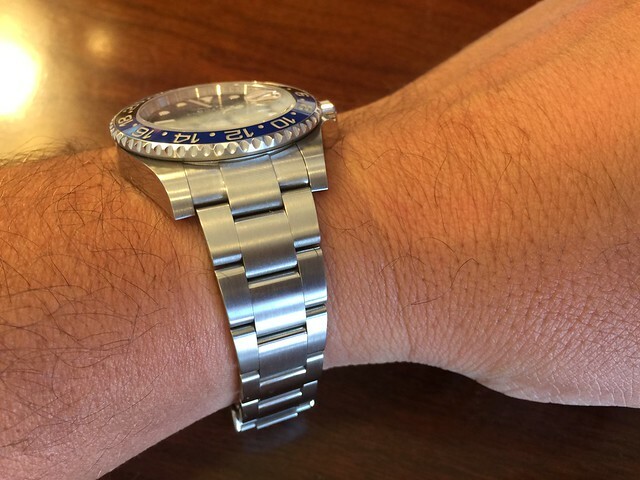 If you prefer the Oyster bracelet I'd suggest getting a vintage model where the center links on the Oyster bracelet are polished and IMHO look better than the newer Oysters with the PCL's. Pardon my ignorance but, could I ask what "PCL" stands for? 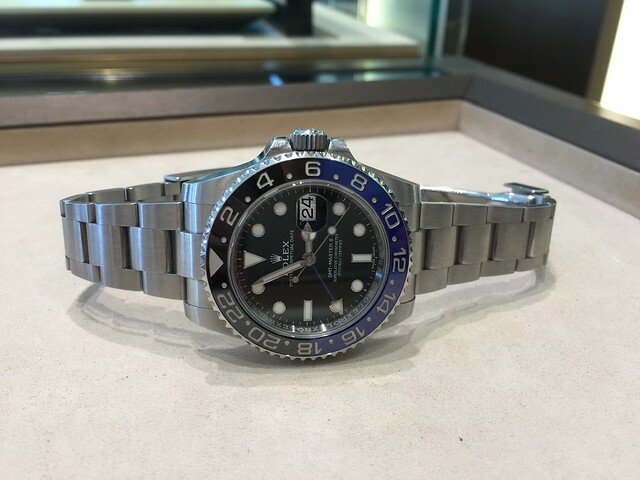 Dropped into my local AD this afternoon, psyched to pick-up a new GMT... I was immediately told "it doesn't work that way". Woah. Didn't realize there's an indefinite waiting list for these... Oh well. If it's meant to be, it'll come-around. I saw one with a colleague over the weekend, he had the GMT with the jubilee bracelet and it looked really nice. They look great on both. I usually wear my Pepsi 16700 on a jubilee. Love the vintage look and comfort. GMT is a tool watch. I just don't like the way PCLs look on this watch. But to each his own...and happily, my jeweler does a great job with brushing down the bracelet. i've just put the jubilee on my gilt 1675 bout 3days ago. I think it works pretty much on Jubilee.